Our expert commentators are our regular contributors who do a fantastic job giving advice on best practice and the latest developments in their specialist areas of digital marketing. Latest Post: Is a digital marketing strategy essential? Latest Post: How many skills do you need to keep your job in digital marketing? Latest Post: Go big or go home? What’s the right length for blog or newsletter content? René Power, has been the Smart Insights Expert commentator on B2B marketing for over four years. He consults, talks and trains on the deployment of the full marketing mix within trade B2B sectors including packaging, food, science, construction, engineering and professional services. He specializes in integrating digital with traditional and demystifying digital marketing, social media and content marketing for trade B2B companies. A Chartered Marketer, René authors the The Marketing Assassin blog, shares updates on Twitter @renepower and you can connect via Linkedin. Rene also authored the recently updated Smart Insights Expert members guide: 7 Steps to Brilliant B2B Digital Marketing guide. Latest Post: What makes for effective briefing? Latest Post: Is the future of Facebook advertising dead? Jill Robb is the Smart Insights Expert commentator advising on more effective Ecommerce approaches. Jill is the Digital Marketing Director of Origin Digital, a Digital Marketing and Ecommerce Agency based in Belfast and Dublin. Jill is also an Associate Lecturer at University of Ulster on Digital Marketing and Communications. With a vast array of experience in retail, both online and offline, Jill's approach to online marketing is both refreshingly energetic and commercially astute. Jill is a regular speaker on topics such as search engine marketing and ecommerce and a contributor to business magazines both in the UK and Ireland. Connect with Jill on Twitter or LinkedIn. Latest Post: How to structure a marketing campaign? Latest Post: Customer Segmentation – Are your customer footprints merely impressions in the sand? Danny is director of Brainstorm Digital a mentor, trainer and speaker specialising in B2B social media strategy. You can follow him on Twitter or connect on LinkedIn. Steve Phillip is a recognised Expert in the area of personal branding and leadership coaching, Founder of Linked2Success. When it comes to helping companies apply social media to their business development and relationship goals, he understands the importance of individual and team strategy to ensure that tools such as LinkedIn, Twitter and Facebook are used toward specific and measurable business outcomes. Based in Harrogate, he speaks around the UK and is known for energetic, inspiring and informative presentations on LinkedIn, personal branding and business networking strategies. You can connect with him via LinkedIn, Twitter or Facebook. Matt Lacey is our commentator on Site Testing and Optimisation as part of Conversion Rate Optimisation. Matt Lacey is Head of Optimisation at PRWD. You can follow him on Twitter or connect on LinkedIn. Hugh Gage of Engage Digital is the Smart Insights Expert commentator on Digital Analytics. He is author of our Expert member guide to Tag management. Hugh has worked in digital communications since 1994, switching from roles in media where he was Head of Online Planning and Buying at Manning Gottlieb OMD, to senior analyst at Logan Tod now part of PwC. He was one of the first to hold the Google Analytics Individual Qualification and is also a DAA Certified Analyst. You can follow him on Twitter or connect on LinkedIn. Latest Post: What are the benefits of real-time marketing? 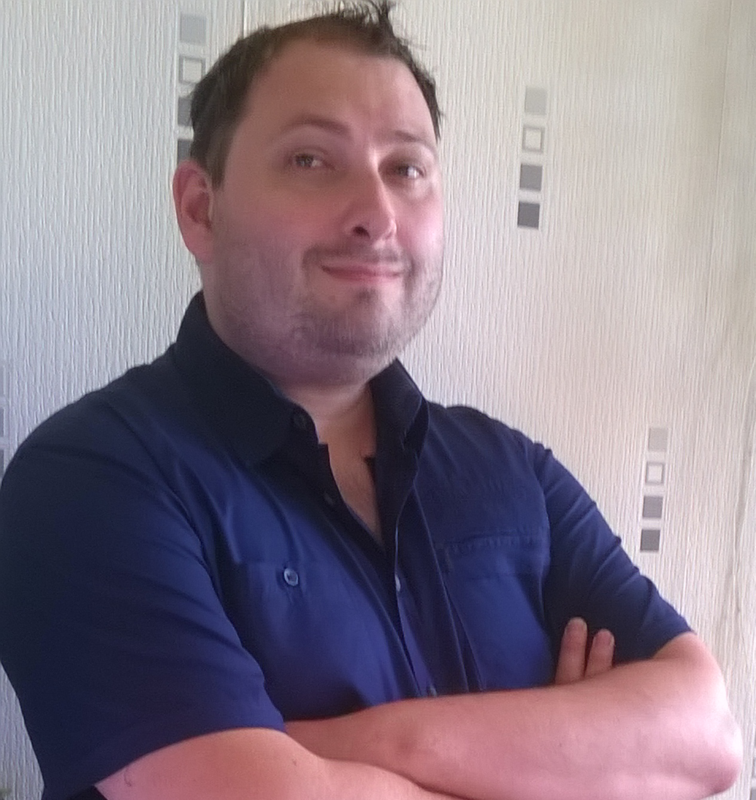 Mike Berry is a UK-based Digital Marketing Blogger, Trainer and Consultant. You can follow Mike on Twitter or connect via LinkedIn. Mike is Course Tutor on the IDM (Institute of Direct and Digital Marketing) Diploma in Digital Marketing and the IDM's Complete Digital Marketing 3-day professional course; author of ‘The New Integrated Direct Marketing’, (Gower) and a Partner at Aprais, a global agency/client relationship management consultancy. View Mike's company blog at http://mikeberryassociates.com. Imran Farooq is our Smart Insights expert commentator on the use of rich media/video in Digital Marketing campaigns. Imran is MD of MMC Learning, a successful JV company with MMU Business School and a Senior Examiner for the Diploma in Digital Marketing awarded by the Chartered Institute of Marketing. Imran is experienced in the rapid development of rich digital learning content which is being used to educate business professionals in over 50 countries. You can connect with Imran on LinkedIn, Facebook, Twitter and download the iMarketer iPhone App. Latest Post: Is SSL the way forward for boosting search rankings? Latest Post: Which is the best way to boost revenue from email marketing? Latest Post: How can we change the traffic-building mindset? Latest Post: CRO – Where should we put failed tests? Fiona Lomas has over 15 years’ experience gained as a senior marketer developing and turning around leading consumer FMCG brands working in UK, EMEA and Global roles for Beiersdorf (NIVEA), Kraft Foods, Fox’s Biscuits, AVON Cosmetics and Bravissimo, Fiona Lomas (MCIM) founded The Brand Detectives, a strategic marketing consultancy focused on hunting down sustainable growth for courageous consumer brands. Fiona is also a guest lecturer and mentor on the BA Marketing and MSc Brand & Design Management programs at Plymouth University. Connect with her on LinkedIn. Kimberly Grimms is a futurist who spends most of her time monitoring social behavior in search for new consumer trends. She uses the information to create viral and useful content. You can read more of her writing on her blog. Latest Post: Why does HR recruitment ethics not follow digital engagement? Latest Post: Personalisation: the key to customer retention? Latest Post: What do the new Google Product Listing Ads (PLAs) mean for retailers? Paul Rogers works as Head of Digital Marketing for GPMD, a London-based ecommerce web development and online marketing agency. Paul is extremely passionate about ecommerce and marketing and has previously worked in-house for an online retail company and for a PR agency. You can find Paul on LinkedIn, Twitter and Google Plus. Carlton Jefferis @carltonjefferis is co-founder and senior consultant at The Digiterati, a consultancy providing digital marketing expertise and training. His main focus is social media, ecommerce and integrated digital projects. Carlton is also the founder of an early stage adtech start-up called Gettus! which helps people get deals on the things they actually want. You can get in touch with him on LinkedIn. John Newton (LinkedIn) is the Smart Insights commentator who writes on using Google Adwords for improving paid search marketing and other search-related advice. John is Chief Operating Officer at ClickThrough Marketing. He has been been working in marketing, both online and offline, for 15 years in companies which include Yahoo!, ITV and TNS Global. He is interested in the creative application of common sense and a research-based approach to improve marketing results. John is also a CIM Chartered Marketer and the editor of ClickThrough’s two books on search marketing. Latest Post: How do social signals impact your search ranking? Andrew Lloyd Gordon is a Digital Marketing Speaker, Trainer, Consultant and Google Squared Online Tutor. After studying for an MA at Warwick Business School, Andrew started his digital marketing career in 1997, when he helped launch and promote jobs.ac.uk. After 4 years at jobs.ac.uk, Andrew eventually went onto become MD of the business after turning it into the leading jobs board for Higher Education in the UK and across the world. At the height of the dot com boom, Andrew was headhunted to help launch a number of high-profile start-ups. You can follow him on Twitter or Connect on LinkedIn. Latest Post: Does size matter when it comes to Adwords Ads? Latest Post: Which top 5 strategies drive relevance in email marketing? Latest Post: What are the most important Ecommerce SEO KPIs? Latest Post: Does your content address the conversations of your audience? Latest Post: Does re-sending emails to non-openers make me a bad email marketer? Latest Post: How do you know when you need a website redesign? Latest Post: ., ? and ! – Does punctuation in the subject line help or hurt email performance?